Ayki is cosy apartment with quiet patio in the heart of Sofia. Palais d'Ayki is a bright private apartment located in an unique and quiet area in the heart of Sofia. It is enthusiastically managed by it's owner Aydemir Chalakov. 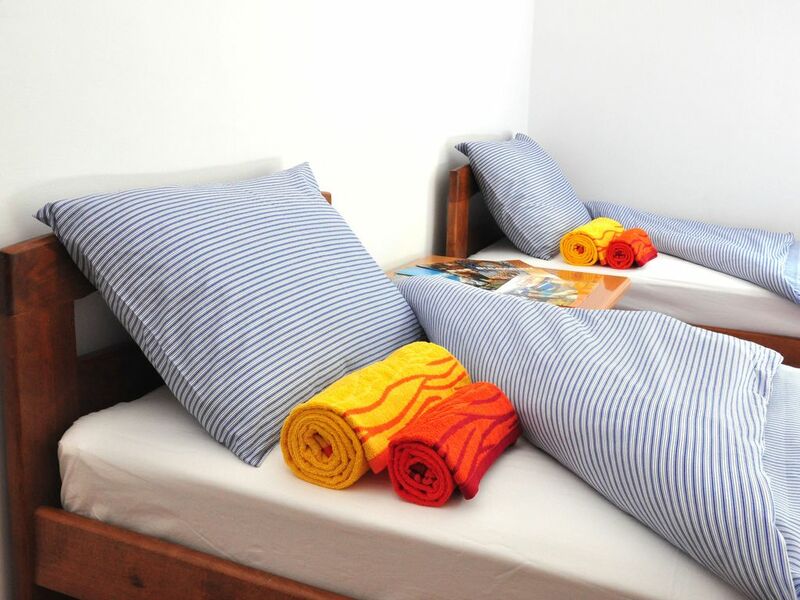 A place that offers self-catering accommodation with a free WiFi. The apartment comes with one bedroom, kitchen, corridor, bathroom and toilet. The bedroom is fitted with three single beds, wardrobe, small coffer with bookshelves and a flat-screen TV with cable channels. The kitchen is fully equipped with a Fridge, a Cooker with hobs and an oven, an Electric Kettle, an Kitchen absorber, a Laundry machine, a Microwave, a Toaster, a Coffee machine, a Sofa bed and table with four oak chairs. The bathroom and toilet comes with a shower, a hair dryer, soap dispenser and toilet paper. My name is Aydemir Chalakov. I was born in 1976 in town of Ruse - the brightest pearl of bulgarian Danube river. I have Bachelor degree in Finance and Master degree in Economics of Trade. In 2016 I bought this house which a friend of mine title it as Palais d'Ayki (Palace of Ayki - Ayki is my short name). My goal is to provide excellent customer service. Welcome to Ayki! I bought this house because the amazing location. This property is in the heart of Sofia. It is located in a save and quiet area. Area with unique history and architecture. This property is just few minutes away from all you need - shops, markets, restaurants, museums, cinema, pharmacies, bank offices, change bureaus. Just round the corner are all kinds public transportation - underground trains, buses, trolleys and trams. This house was made with bricks and wooden beams, but with hope and dreams I made it Home : ) Welcome to feel it!